The Semi-Recessed AED Cabinet with Stainless Steel Finish is ideally suited for high-end cosmetic installations. Made of 20 gauge steel with a #4 polished finish, cabinets have a continuous hinge, roller catch, and chrome handle. 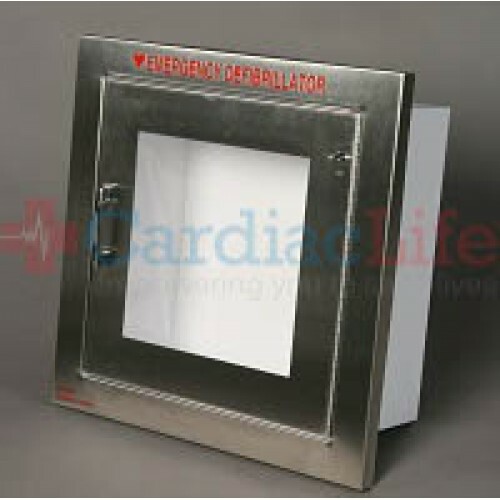 The Semi-Recessed Stainless Steel AED Cabinet with Alarm can either operate on a 9-volt battery (not supplied) or can be hard-wired into your existing alarm system. 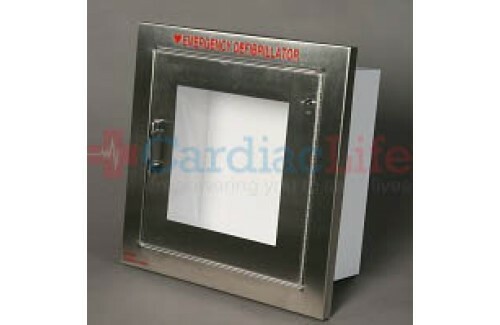 This cabinet is compatible with all major AED models.